Tiny bright blue-green leaves. 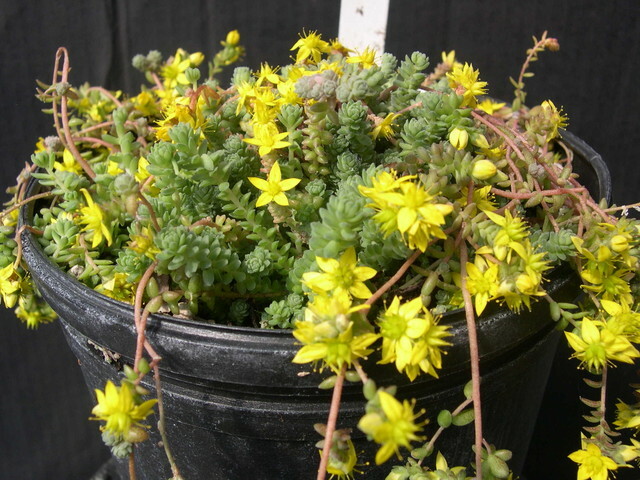 Flower stems show in spring with several star-shaped bright yellow flowers. By the middle of summer, cone-shaped rosettes form at the base of the plant. Mexico.